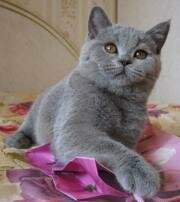 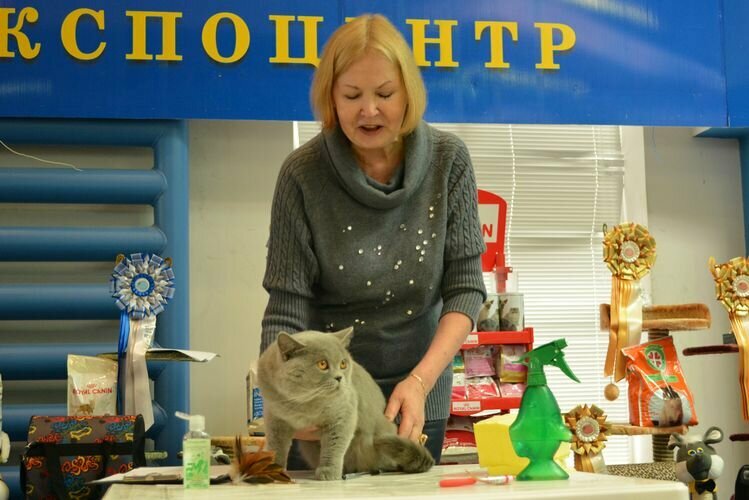 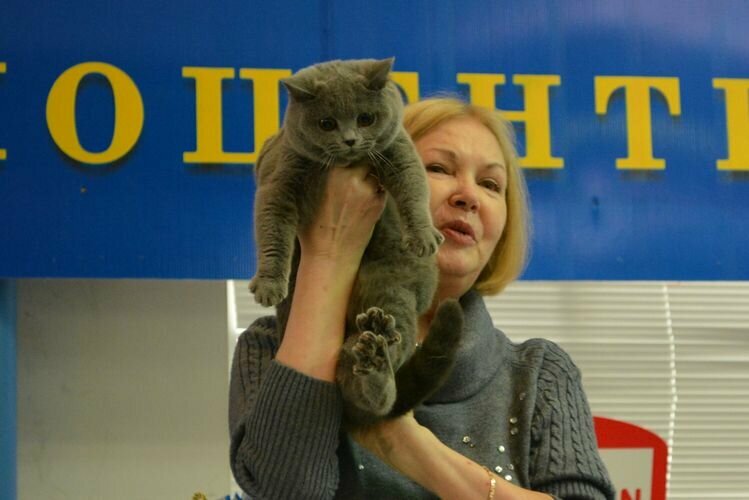 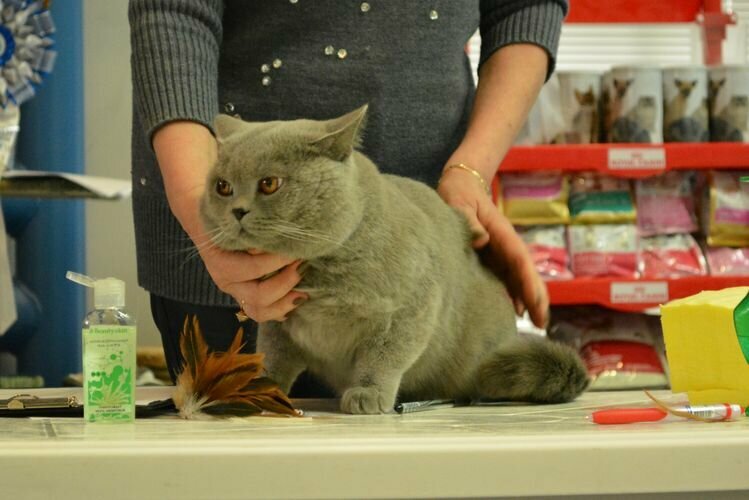 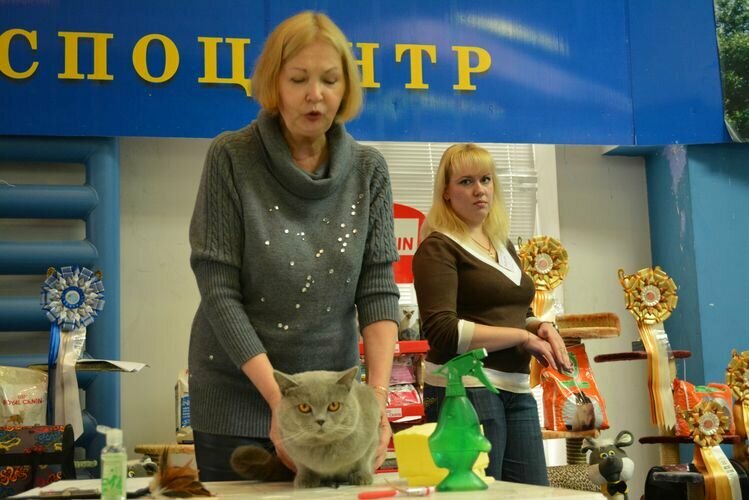 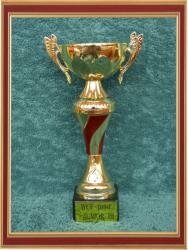 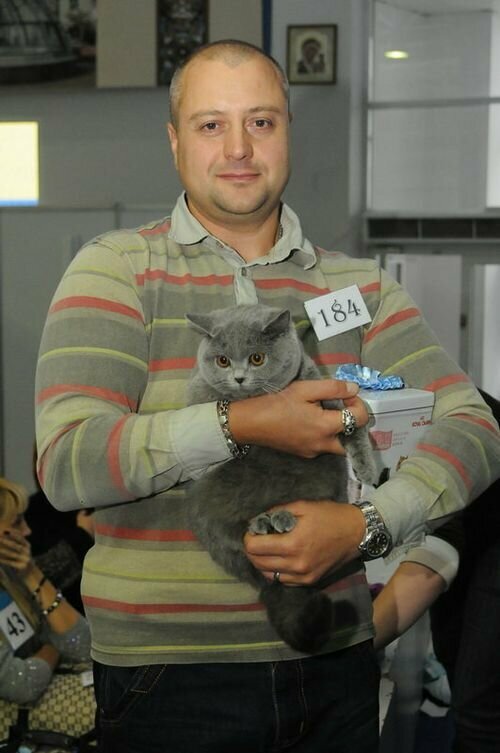 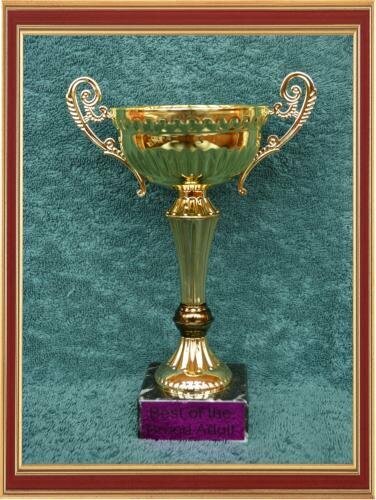 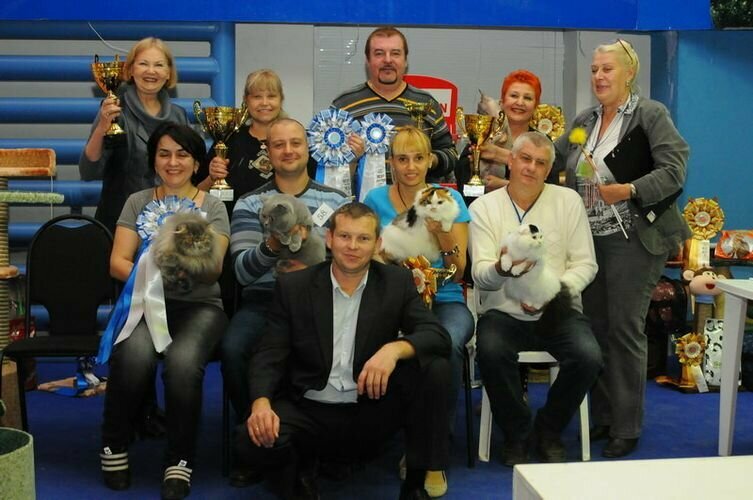 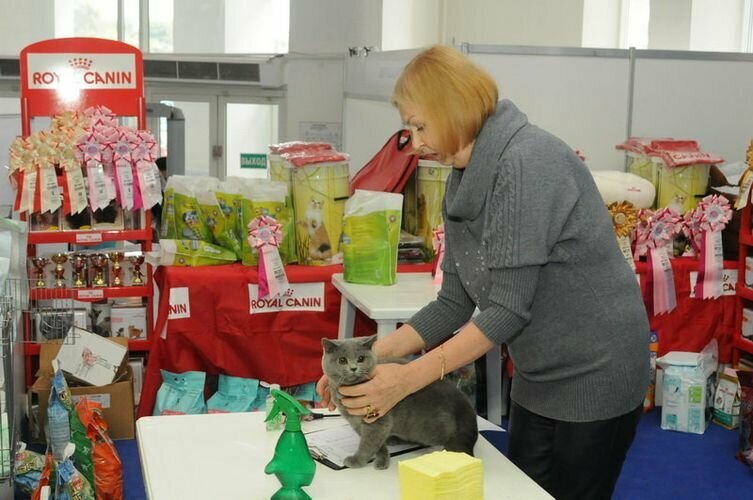 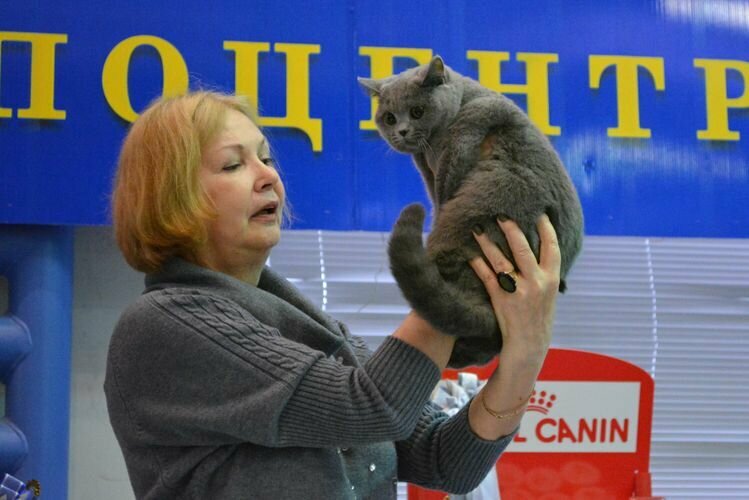 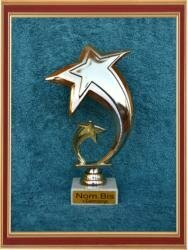 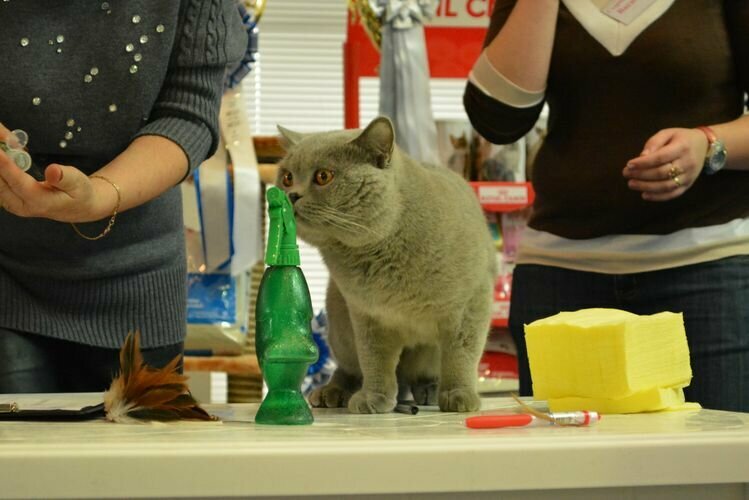 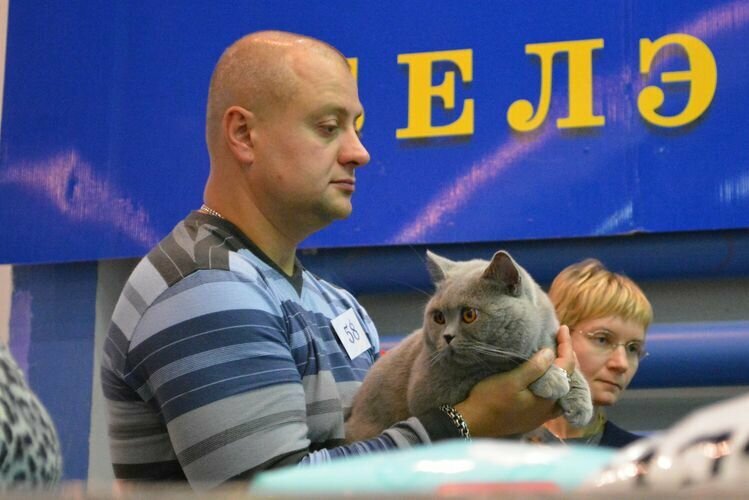 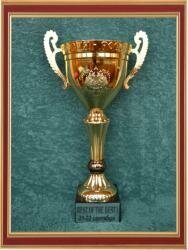 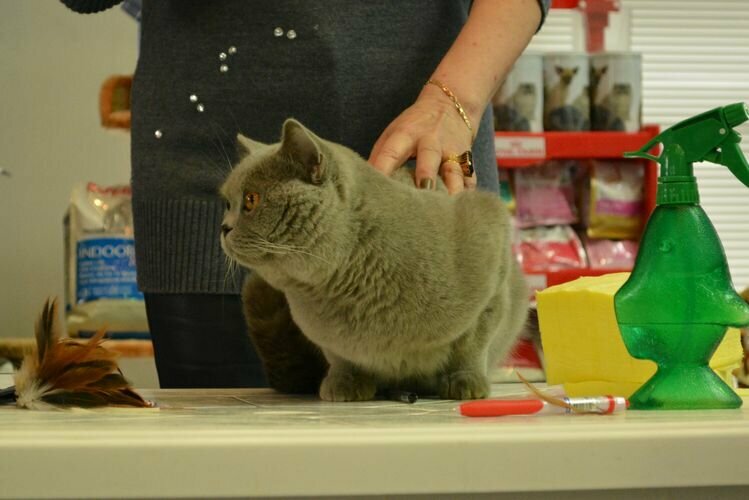 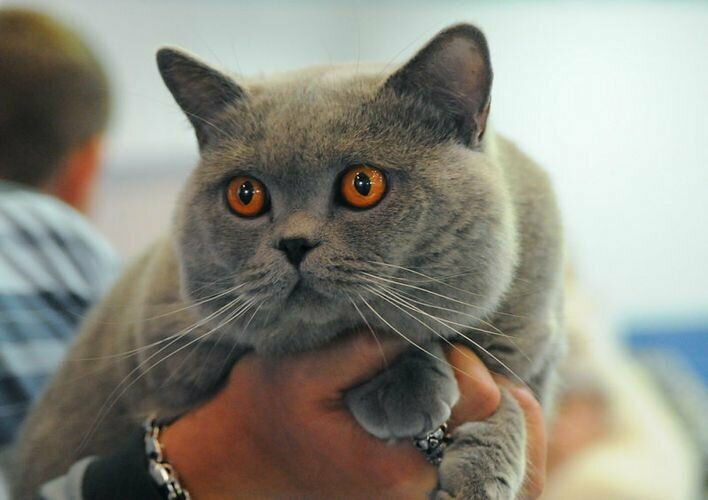 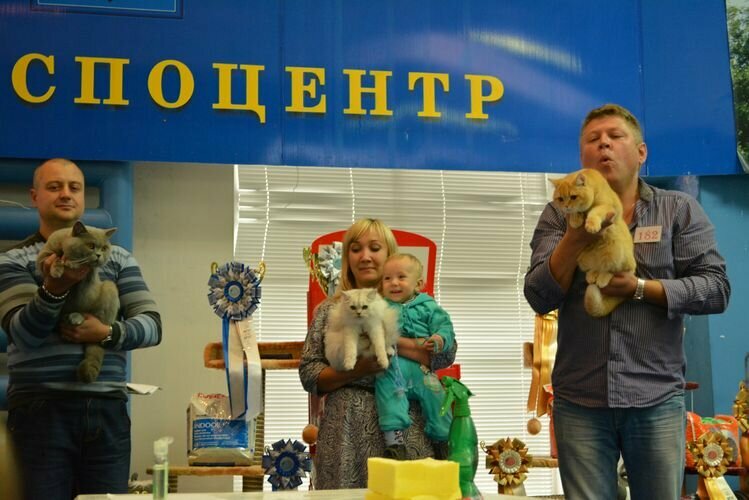 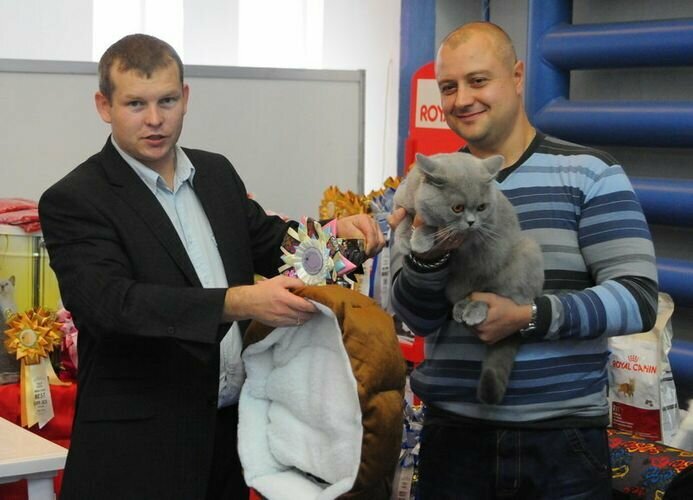 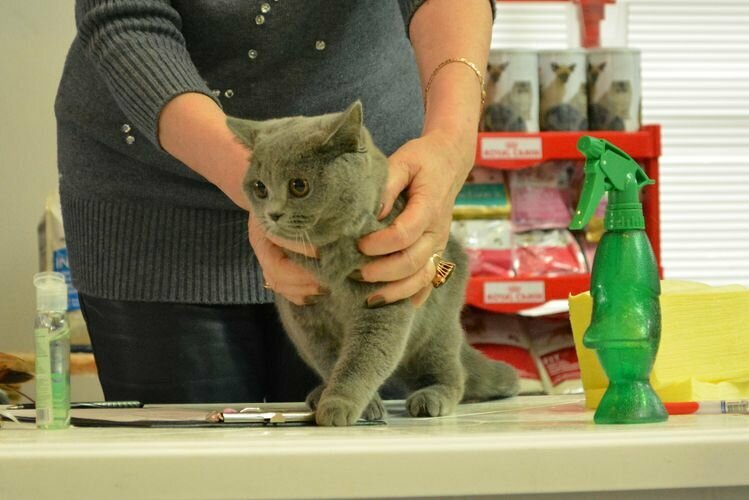 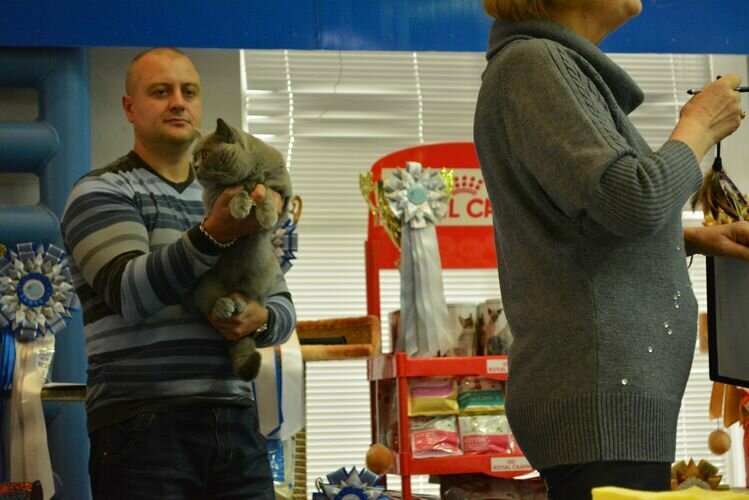 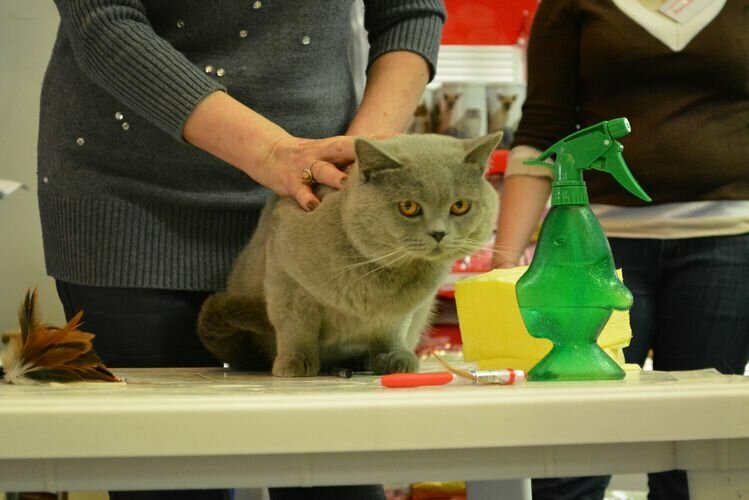 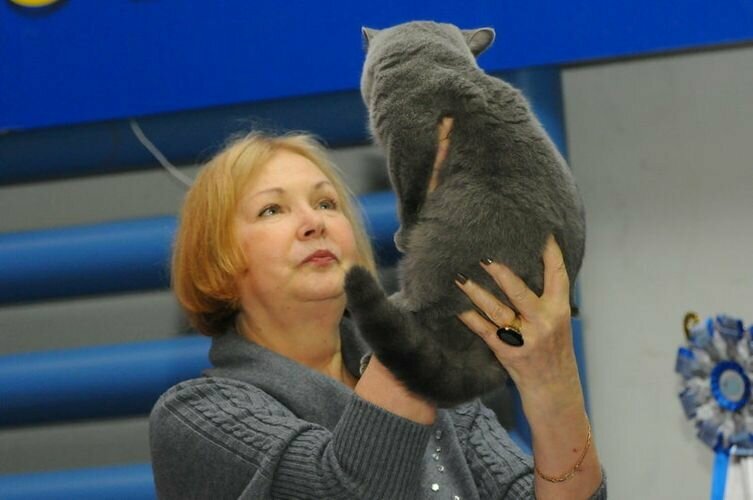 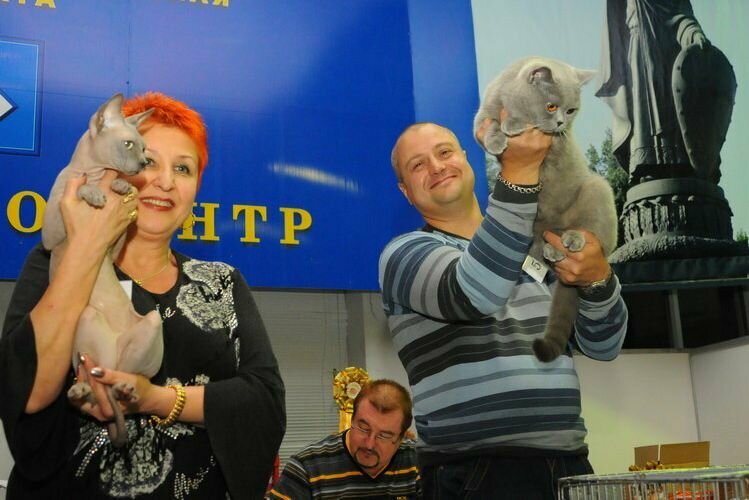 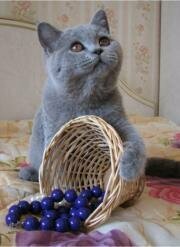 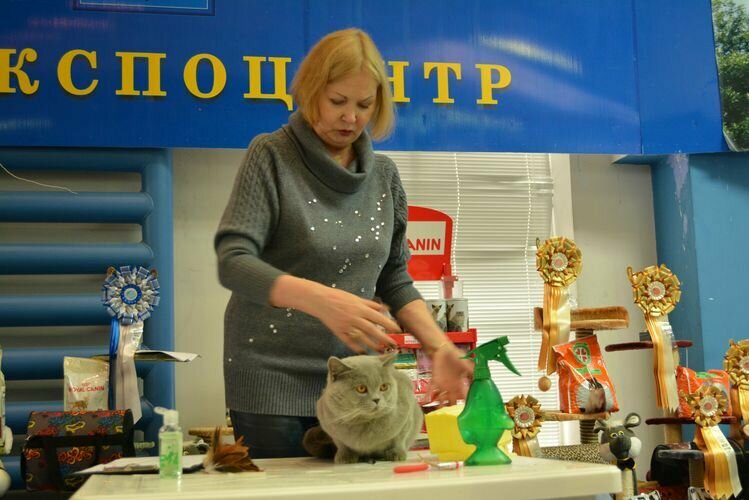 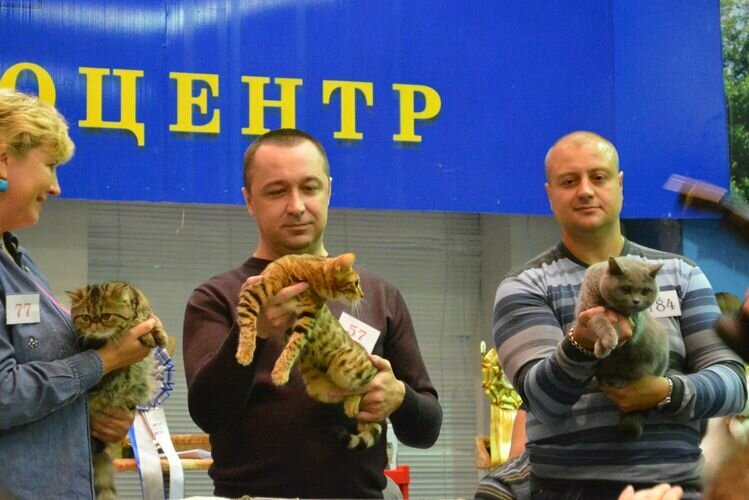 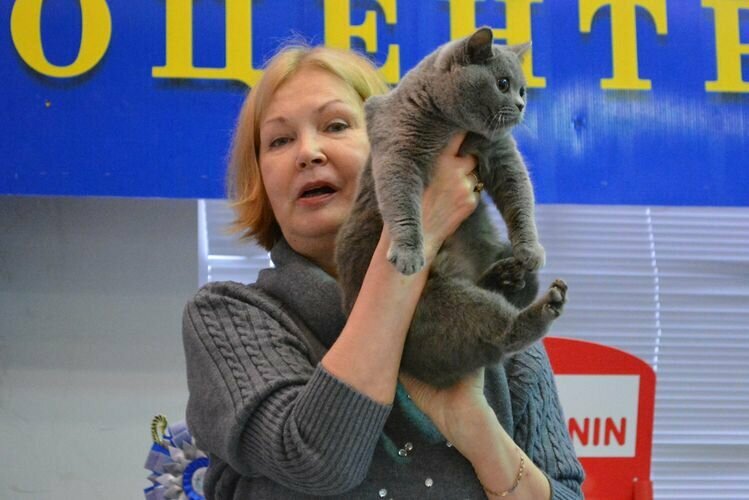 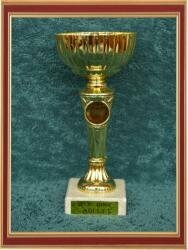 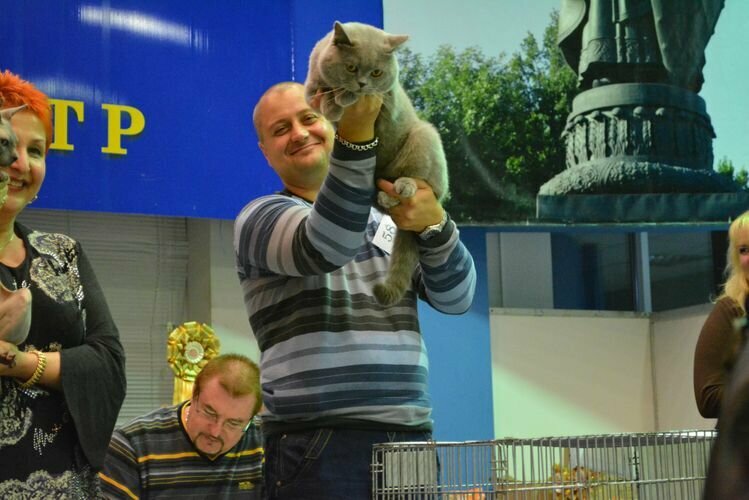 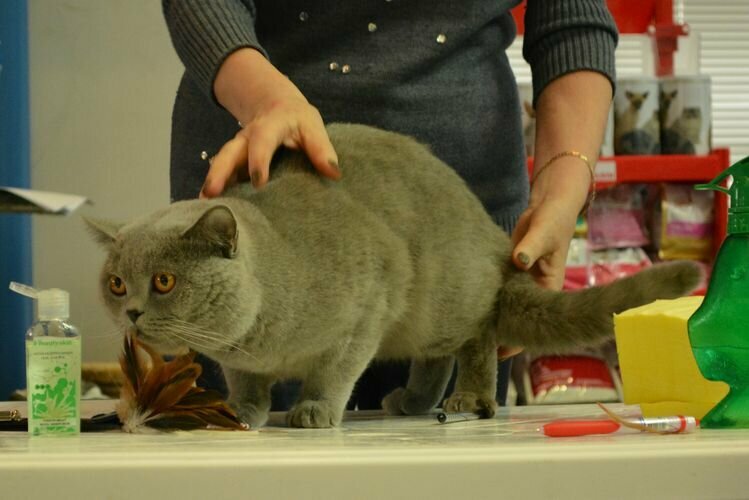 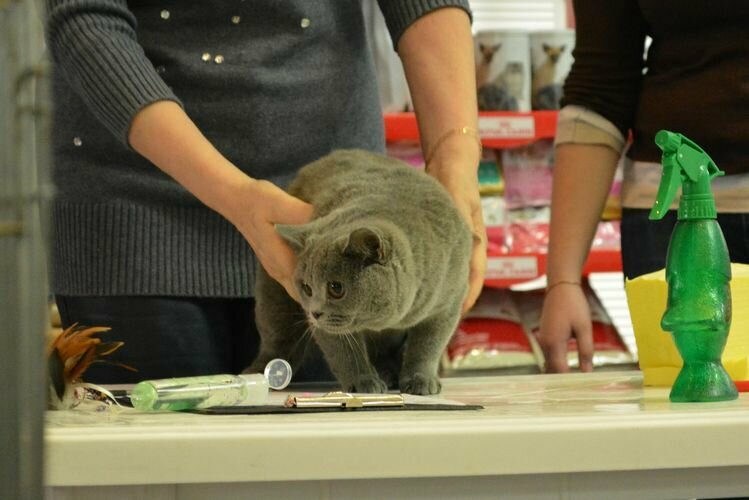 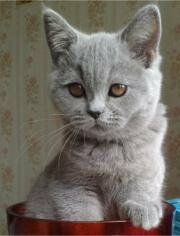 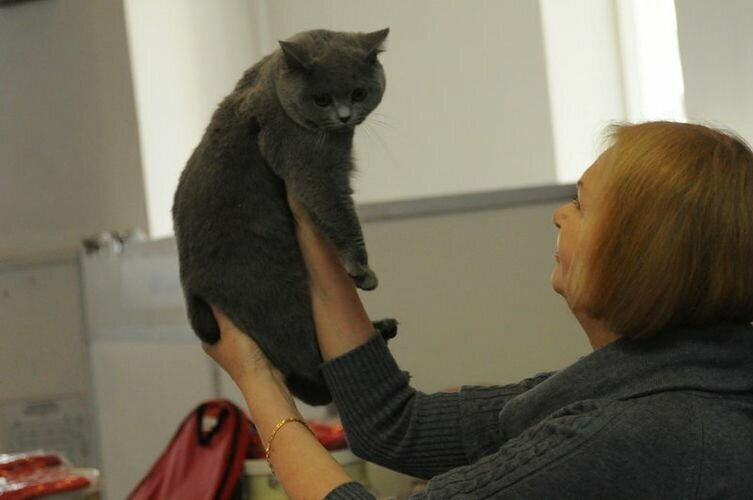 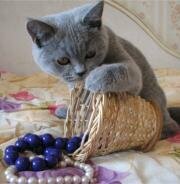 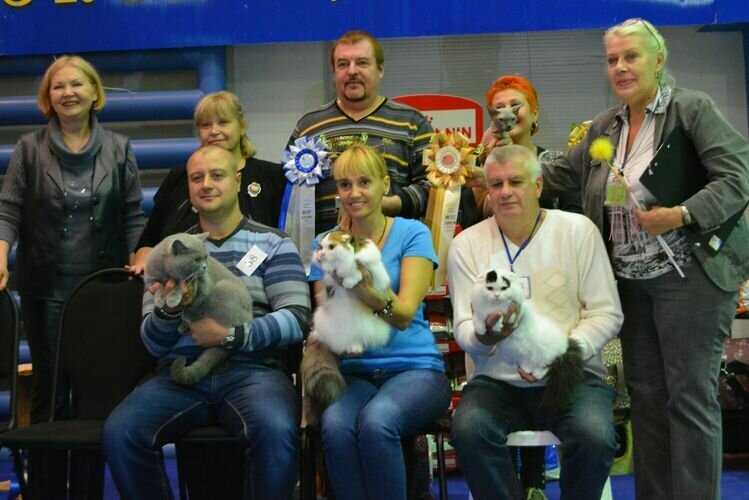 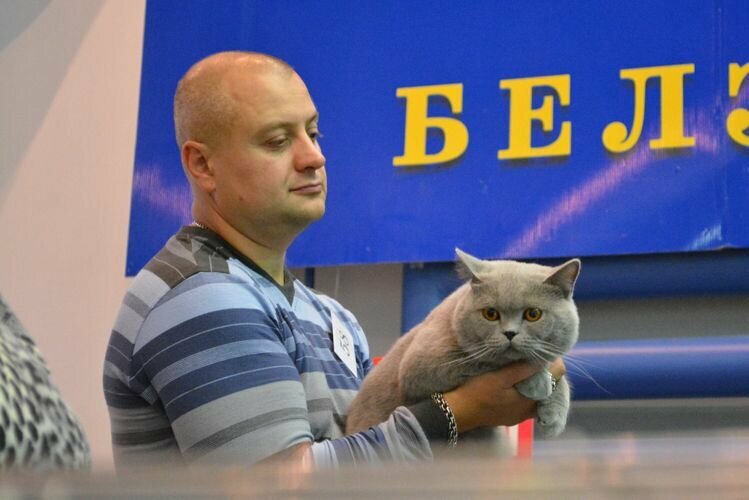 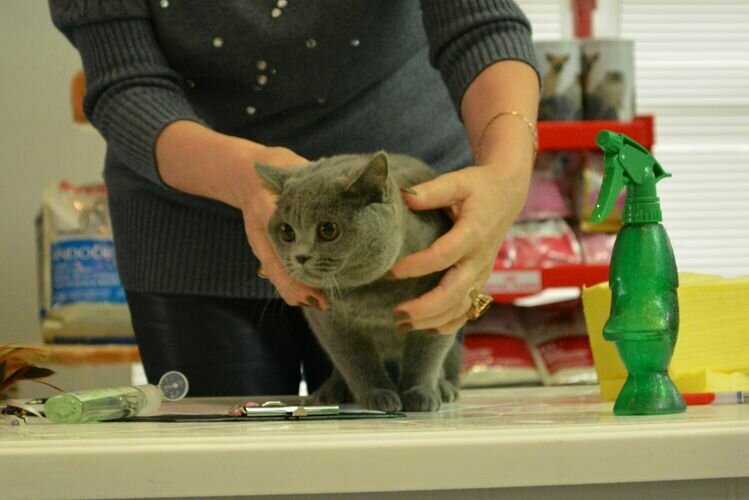 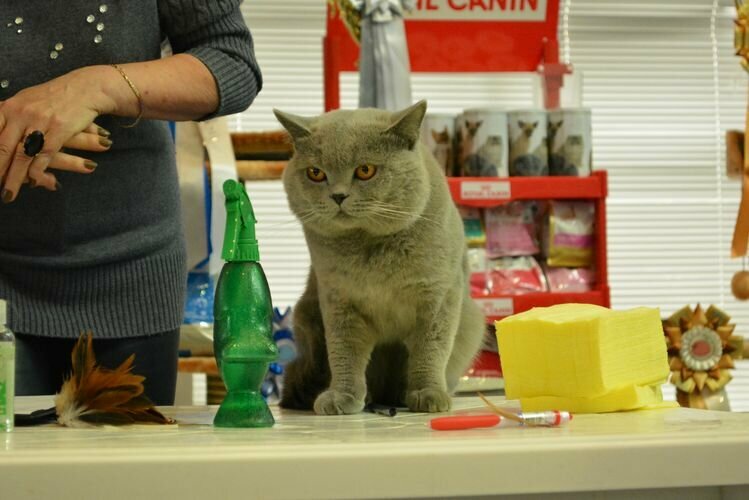 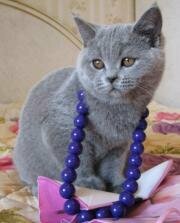 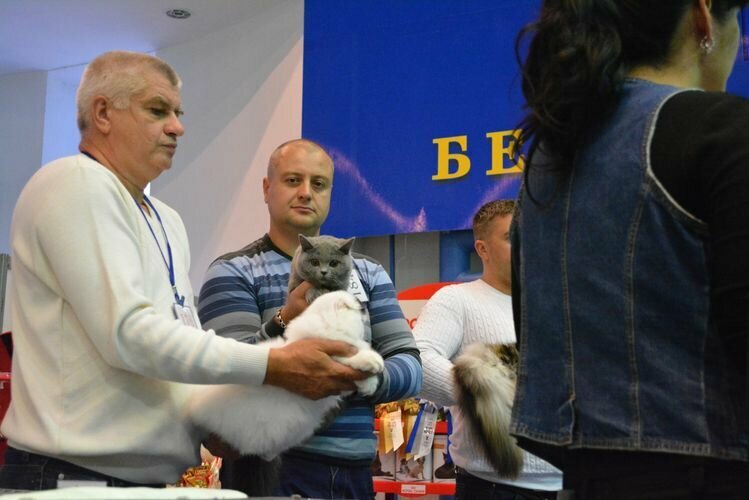 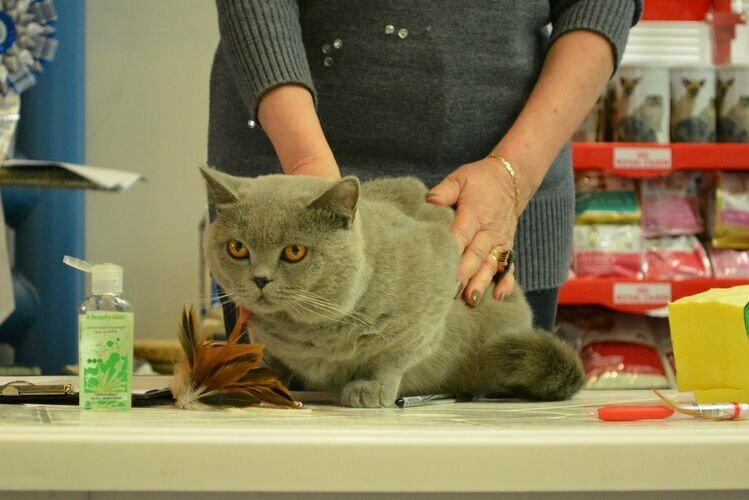 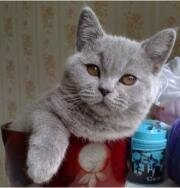 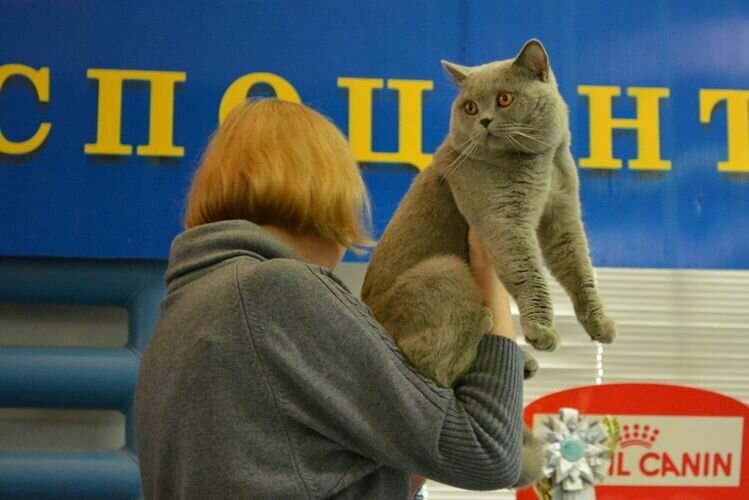 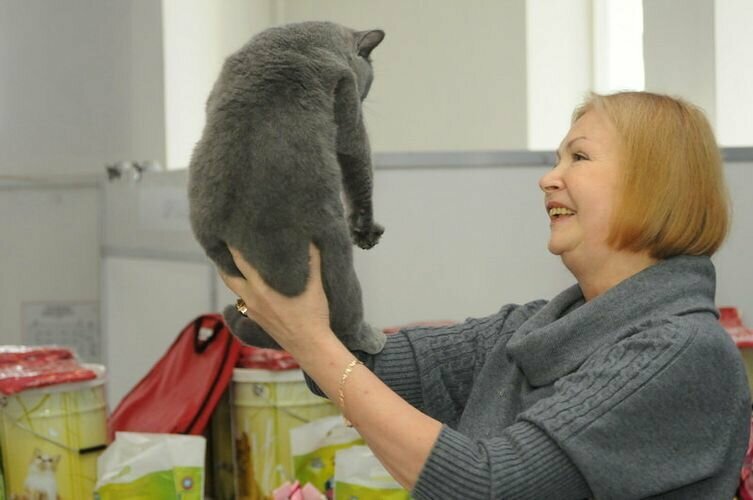 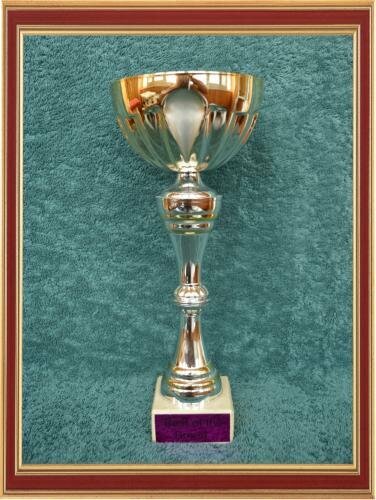 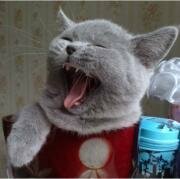 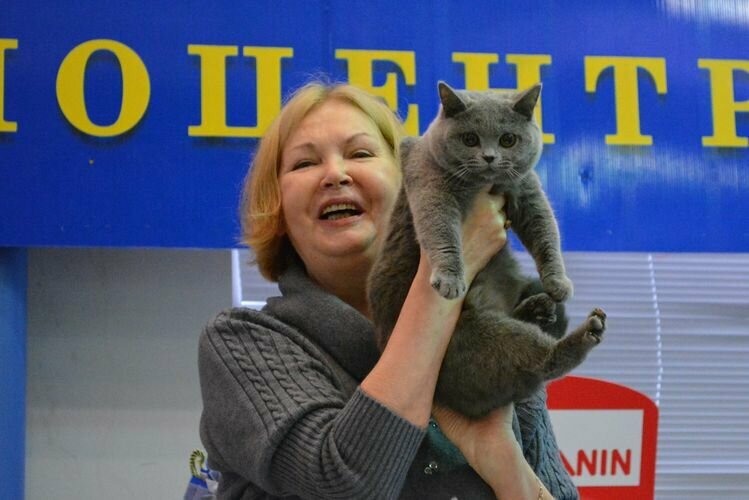 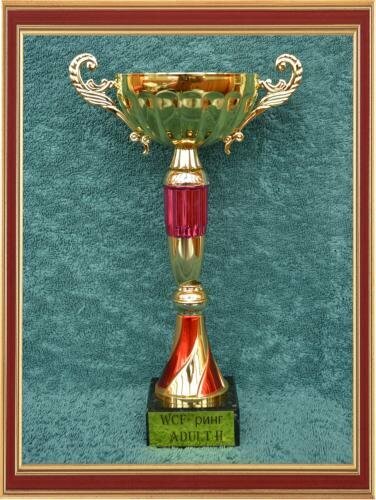 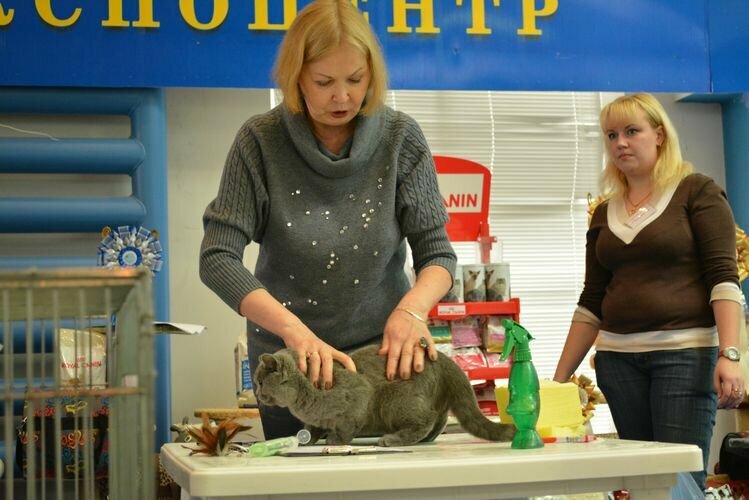 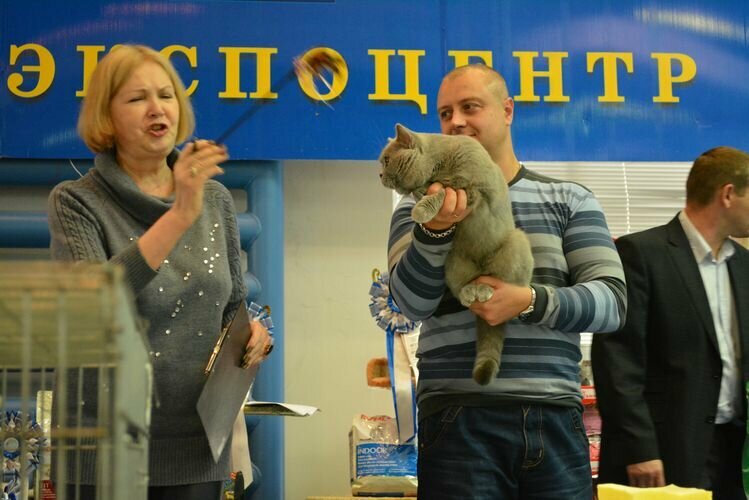 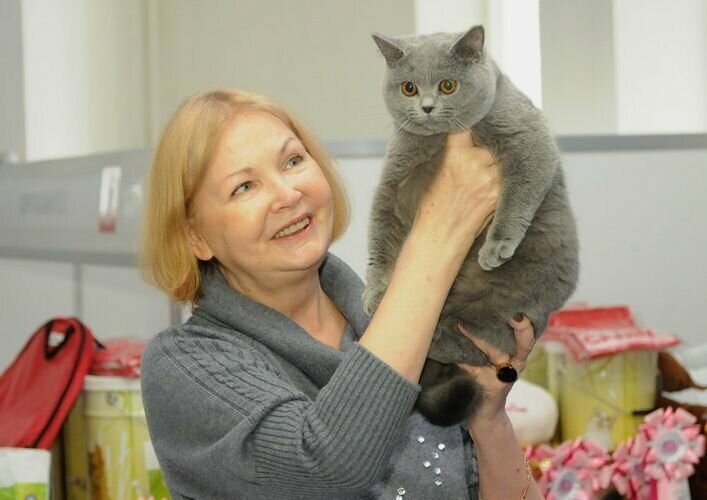 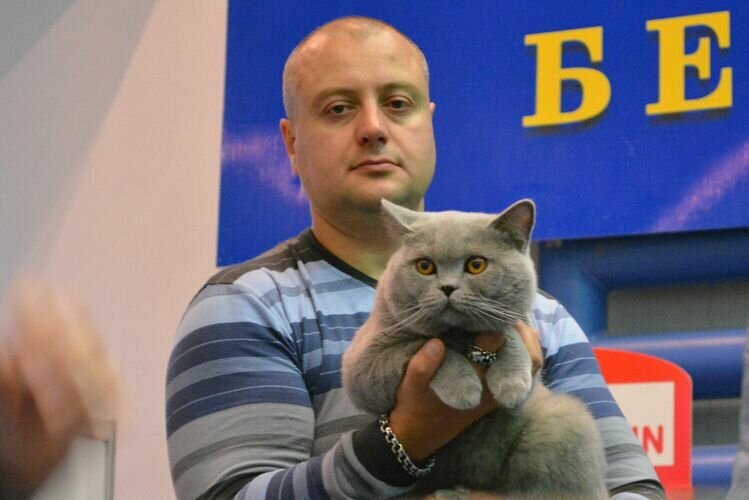 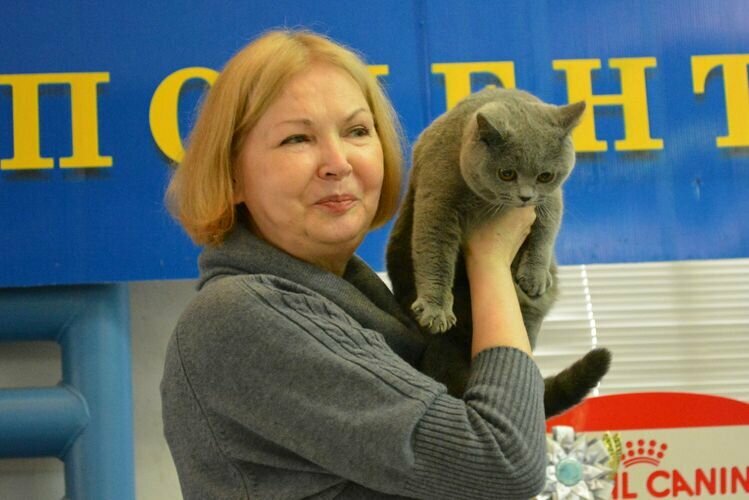 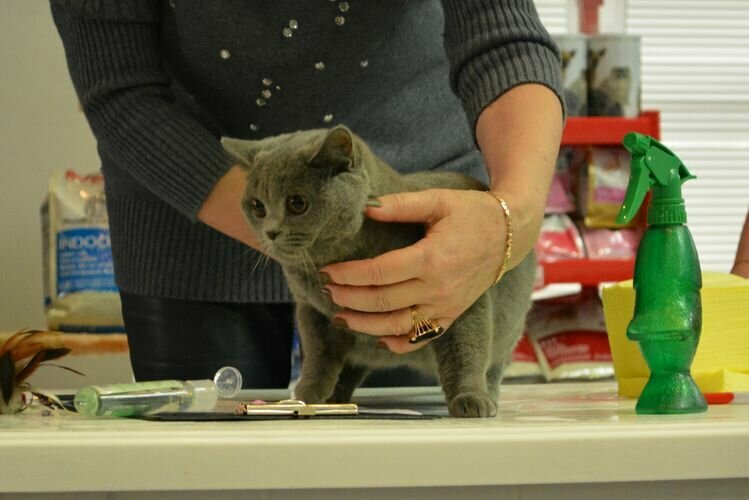 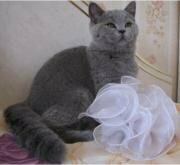 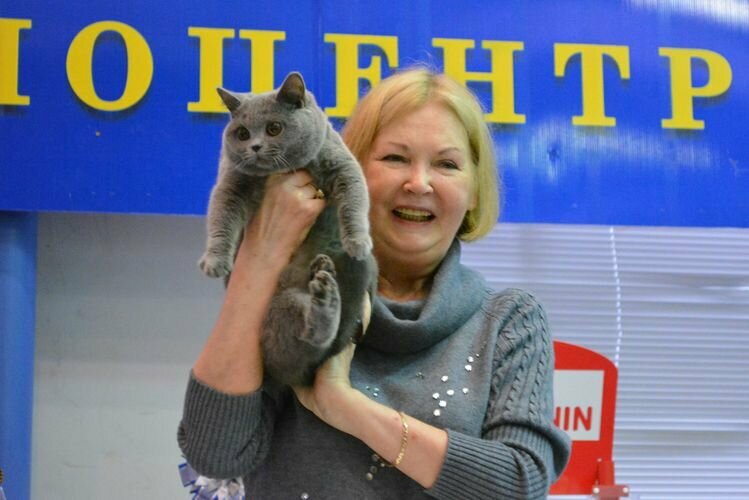 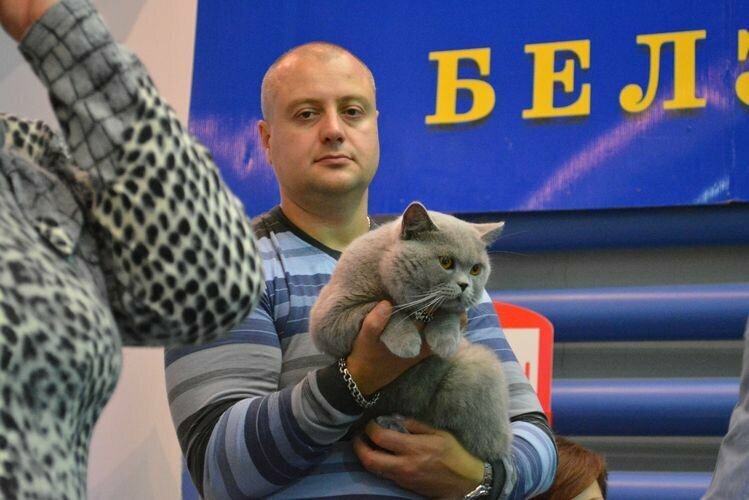 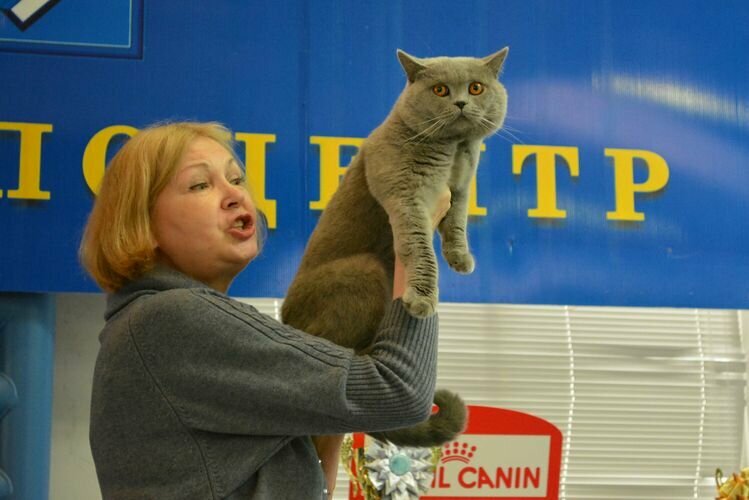 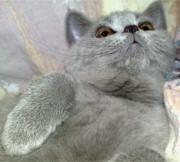 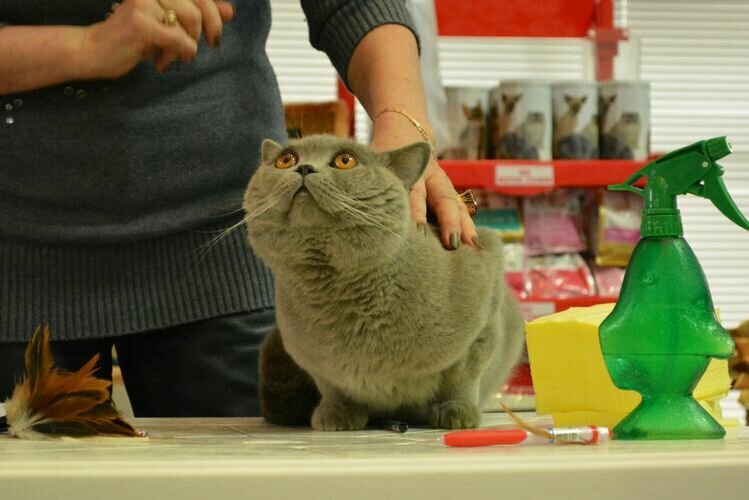 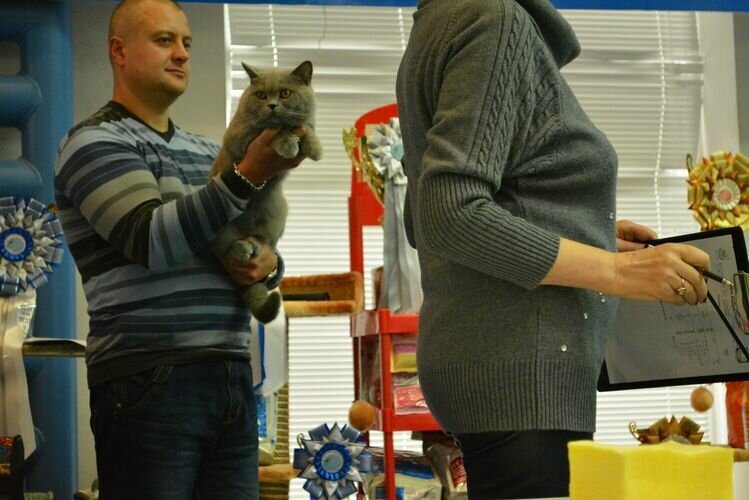 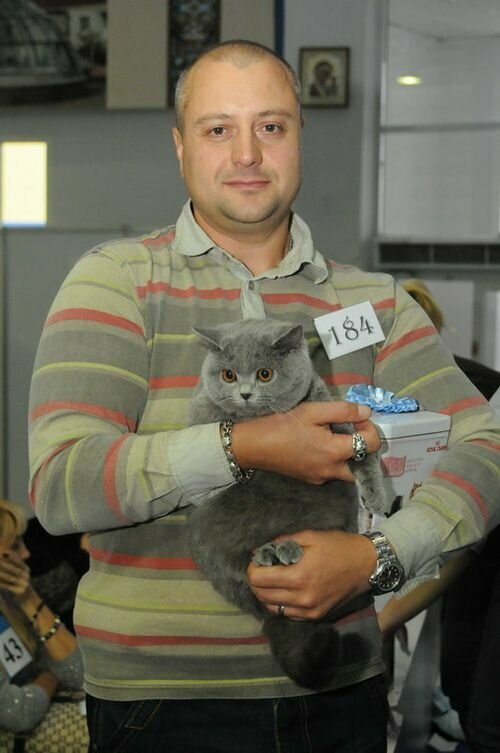 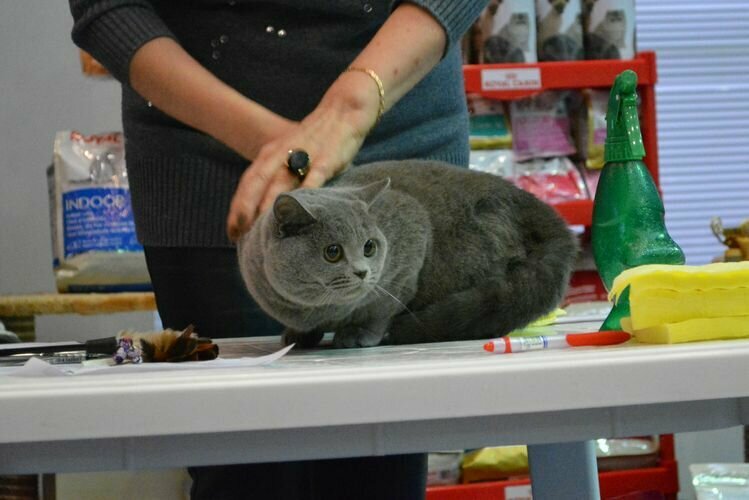 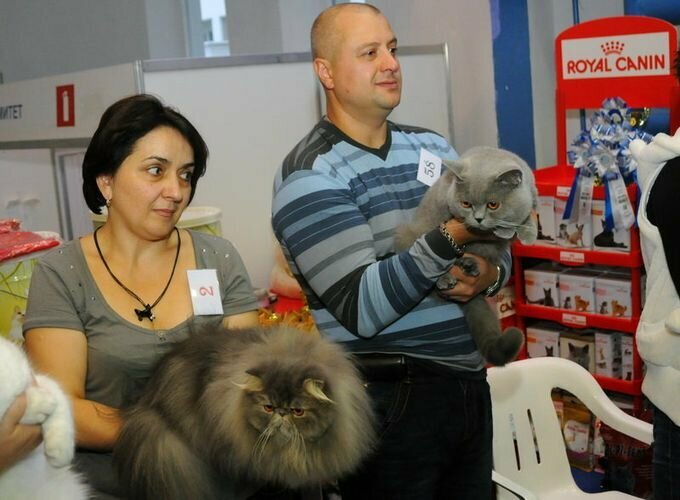 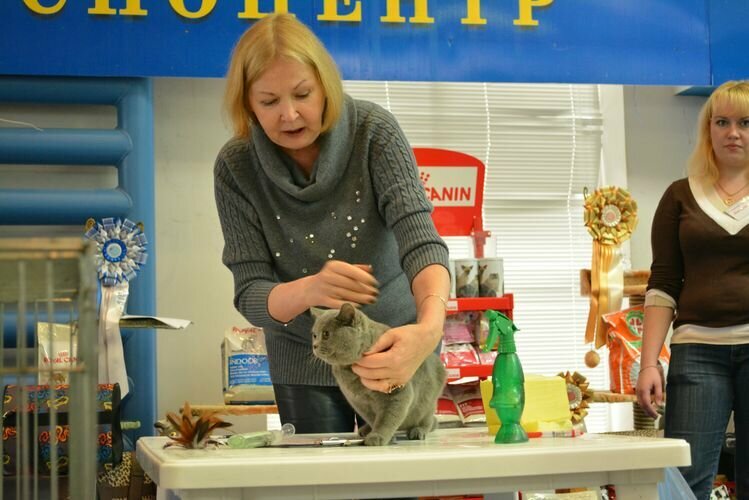 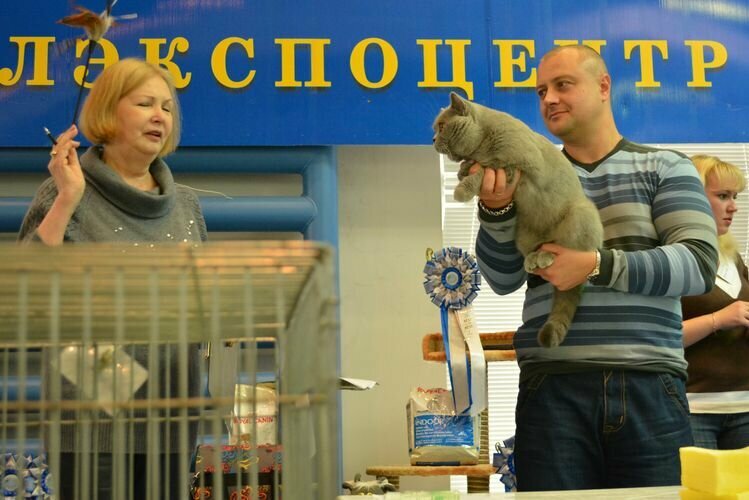 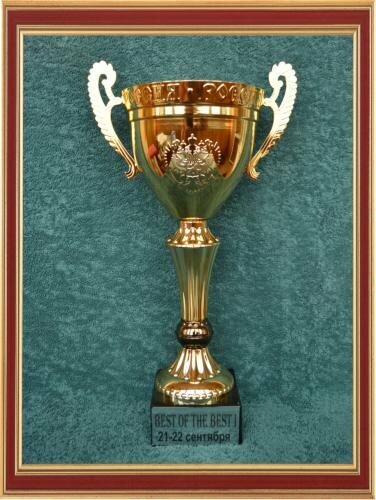 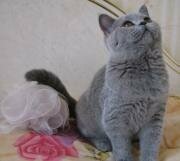 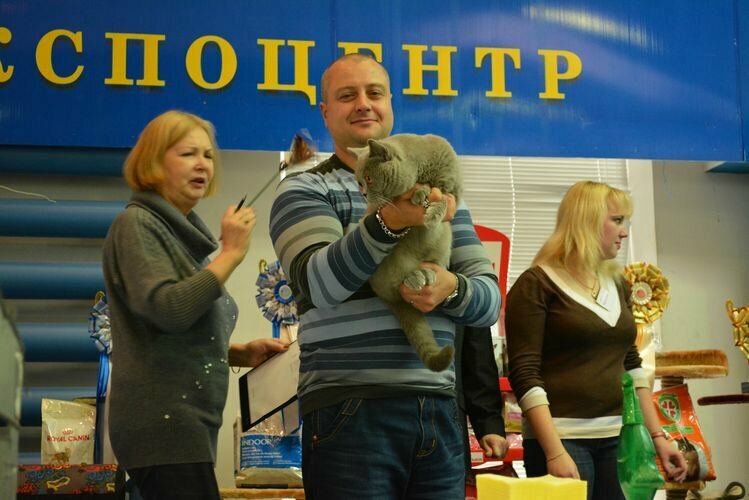 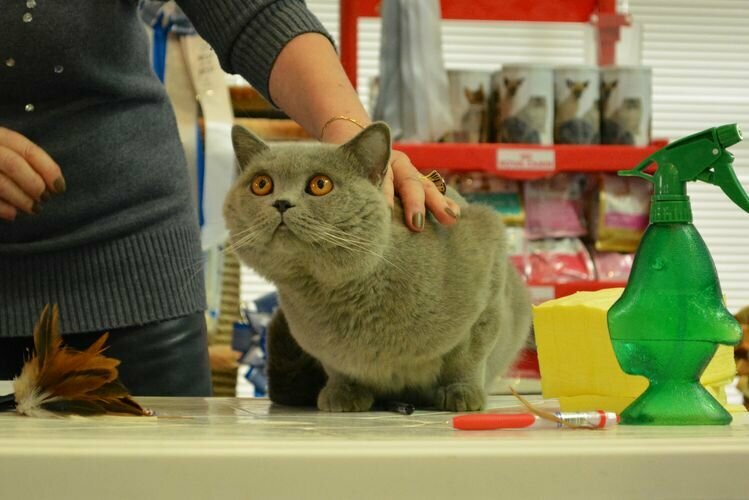 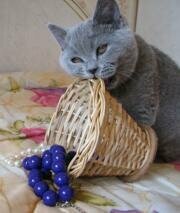 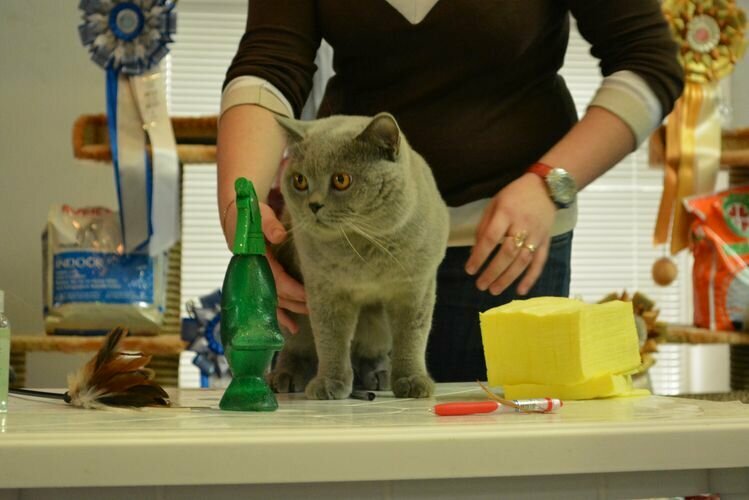 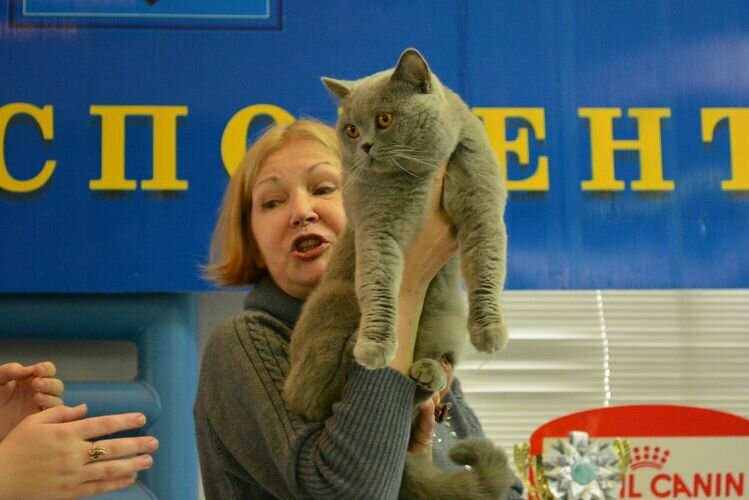 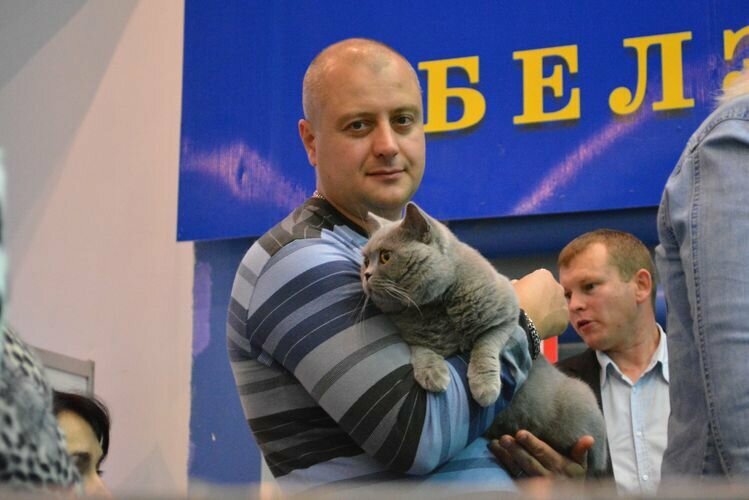 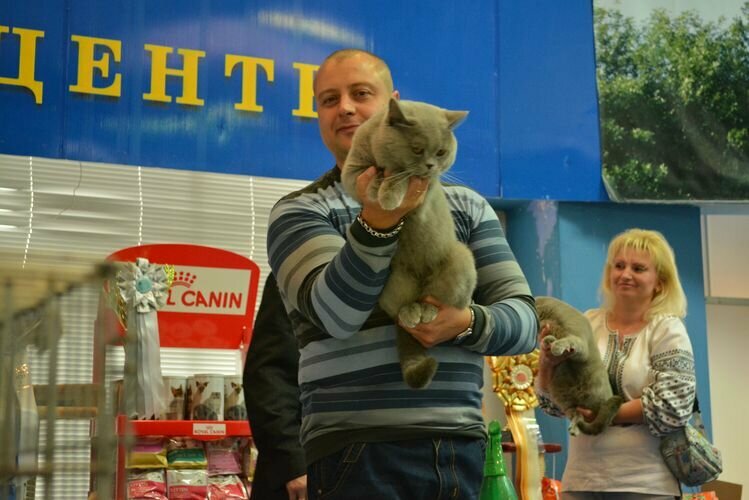 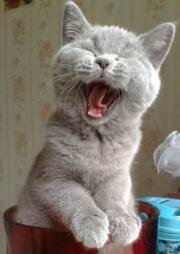 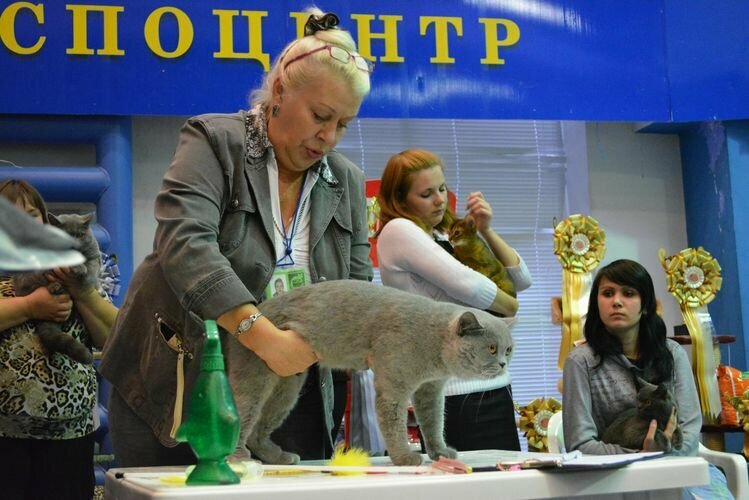 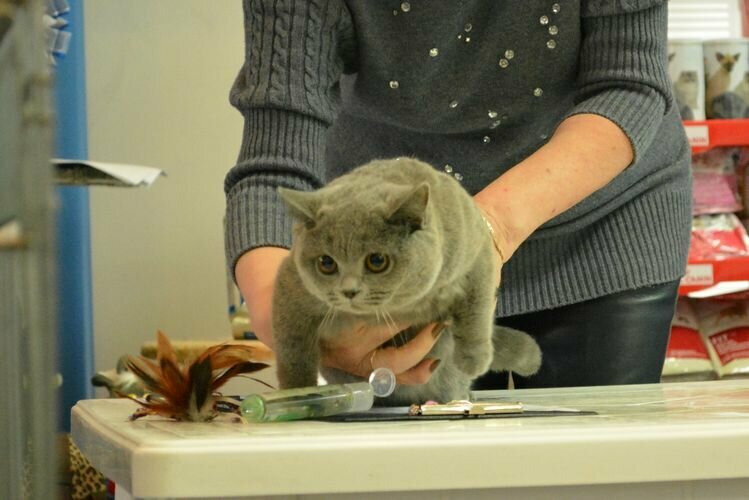 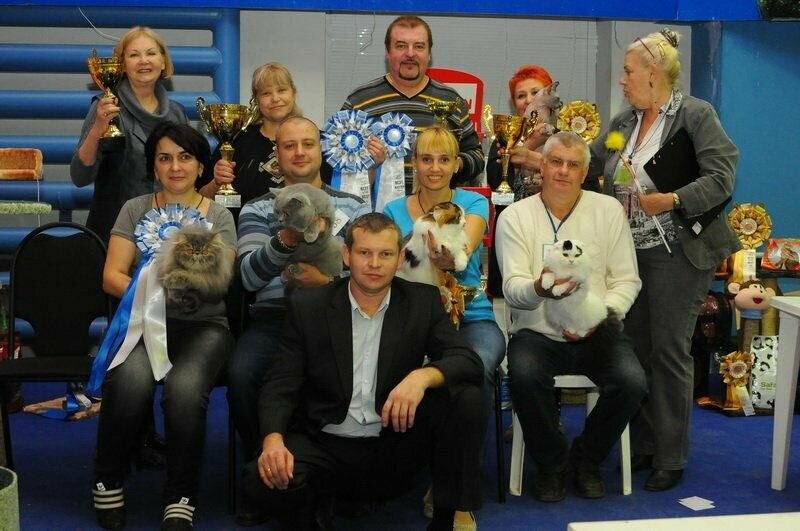 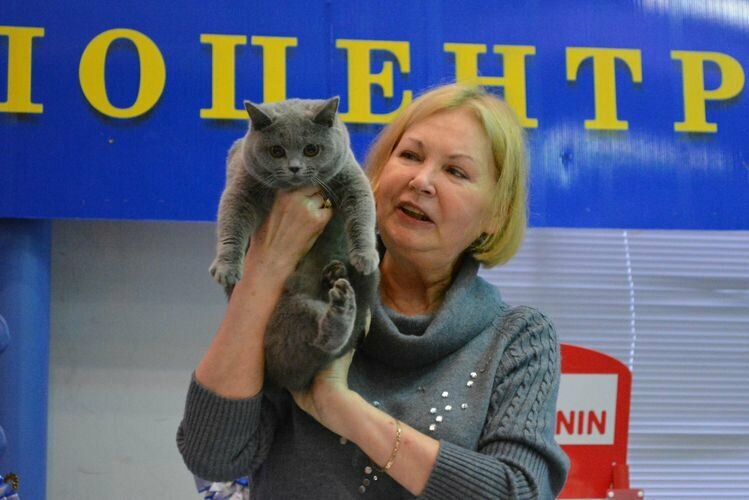 International Cat Show September 21-22, 2013 "Cup of the White City", Belgorod. 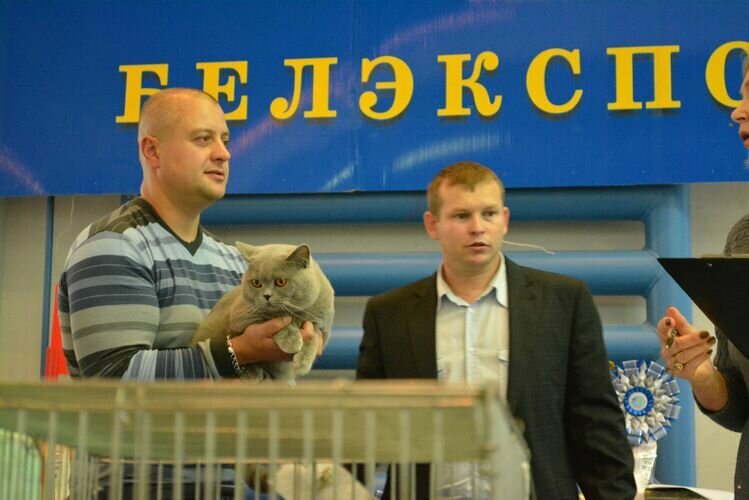 WCF Adult-ring for the first day of the exhibition. 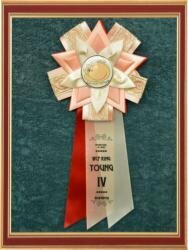 WCF Junior-ring for the first day of the exhibition. WCF Junior-ring on the second day. 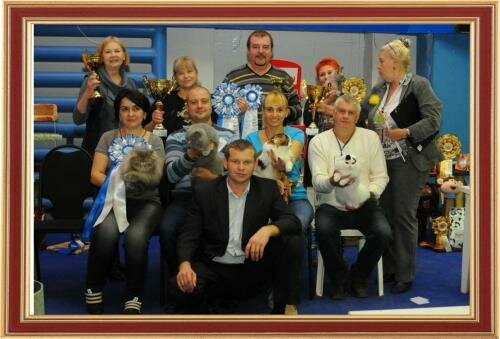 Best in Show for the first day of the exhibition. 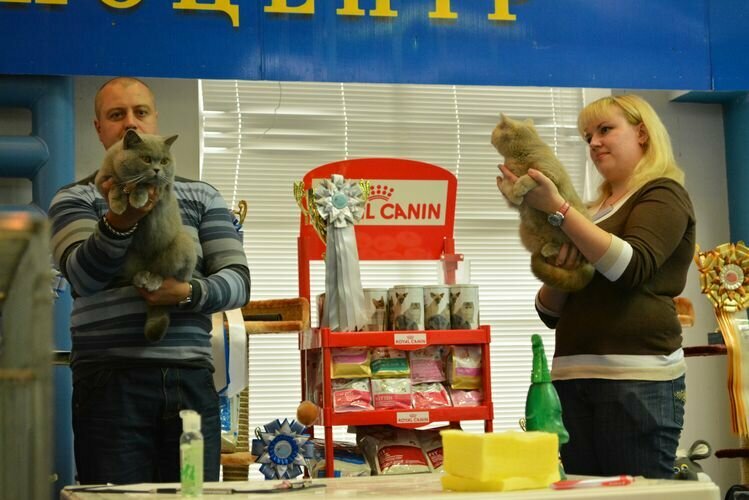 Best in Show on the second day. 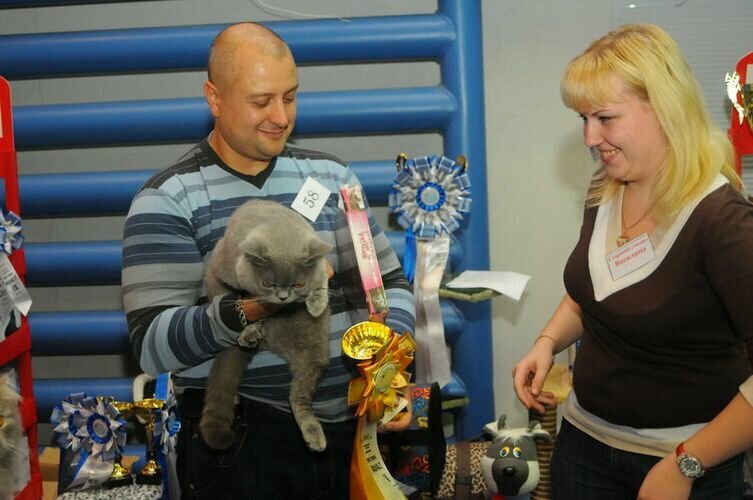 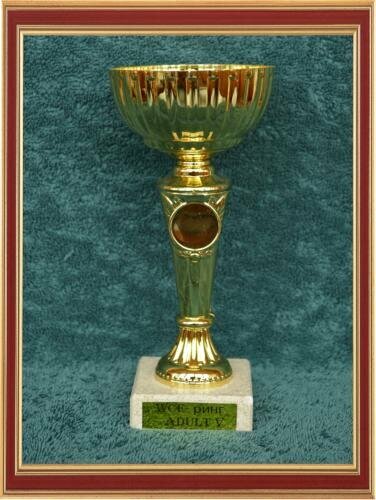 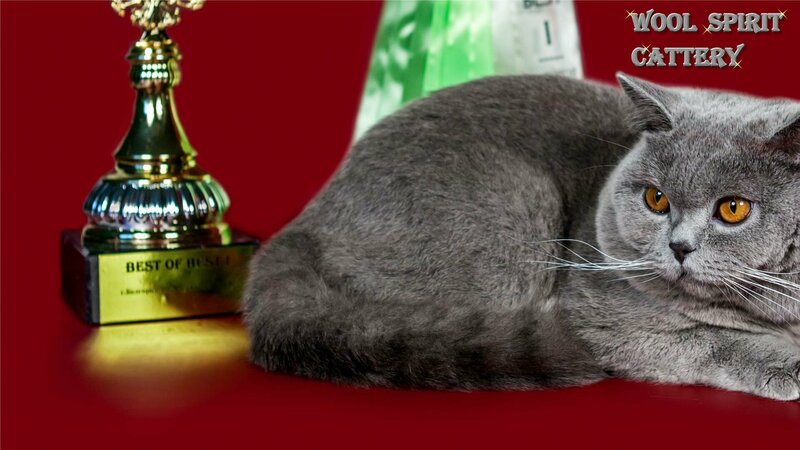 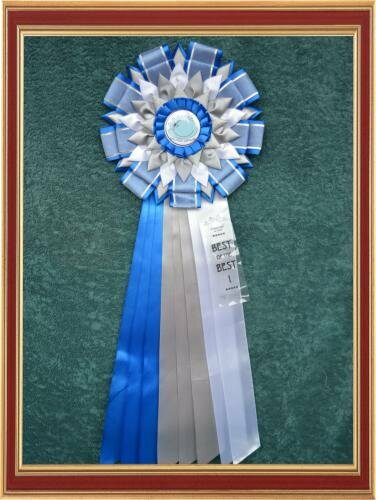 At the specialty ring British breed our cat Yannik won the award for best adult cat British breed and won monobreed ring , becoming the best in breed . 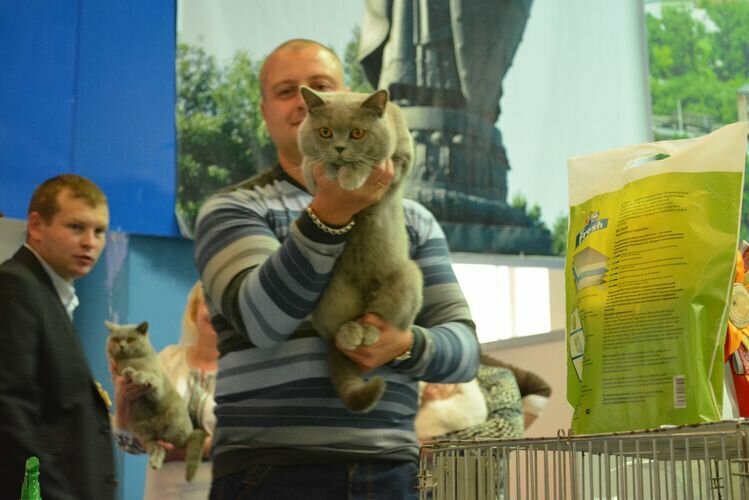 On WCF Adult- ring on the first day of the exhibition , Yannik took 5th place and the cat Beatrice 4th place in WCF ring of young animals. 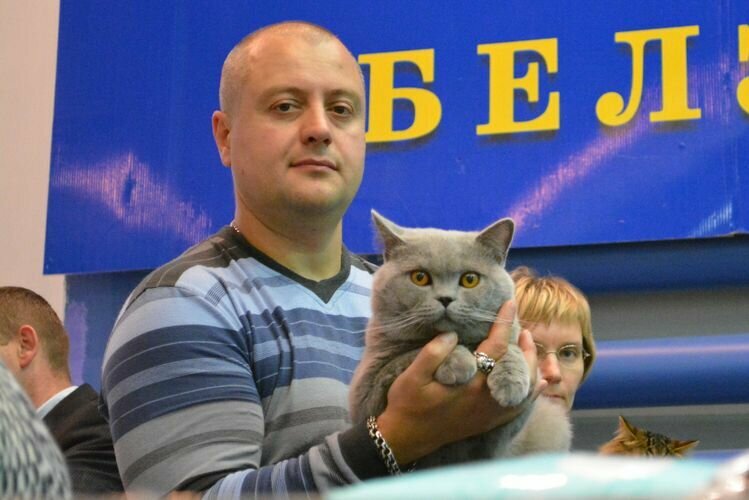 On WCF Adult- ring on the second day , Yannik took 2nd place , and the cat Beatrice third place in WCF ring of young animals. 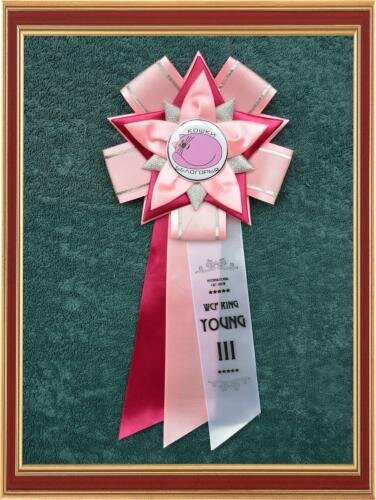 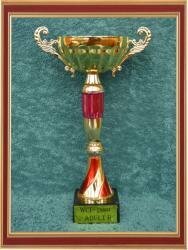 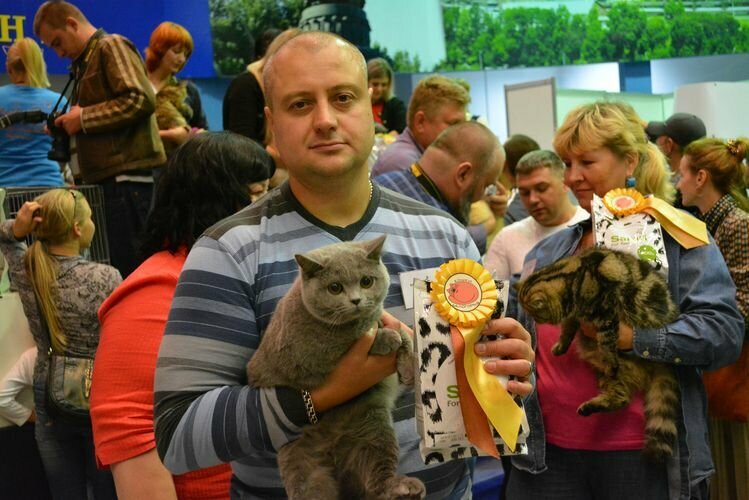 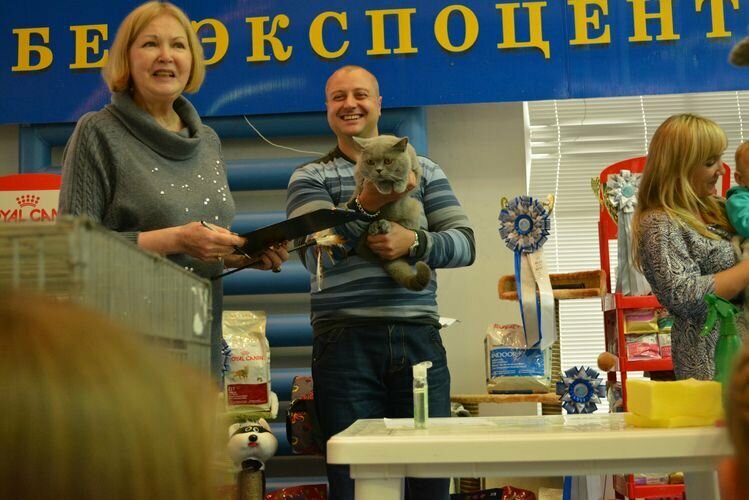 Best in Show at the first day of the exhibition our cat Yannik was declared the winner , becoming the best shorthaired cat and best animals show the first day ! 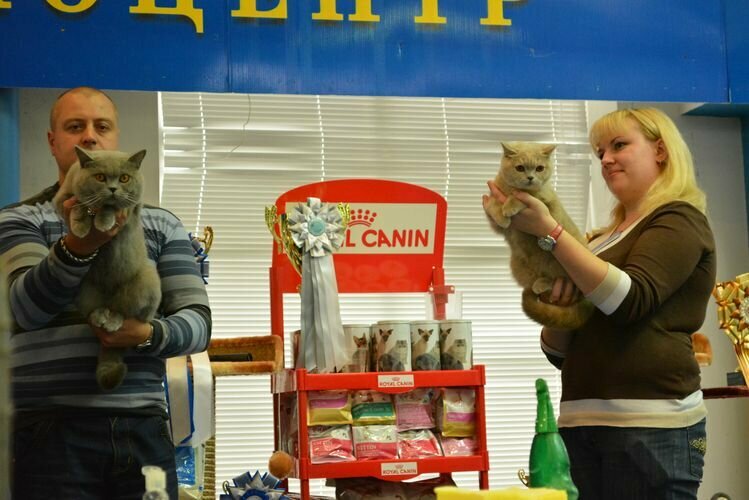 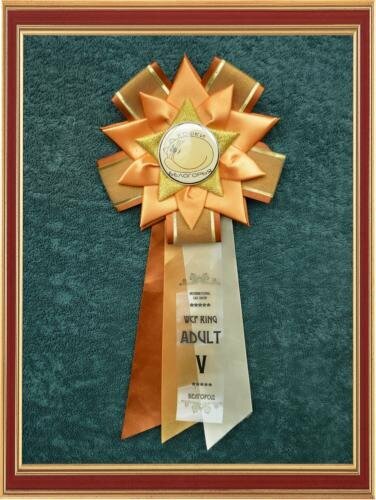 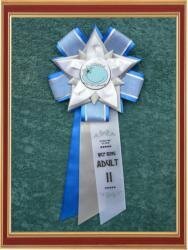 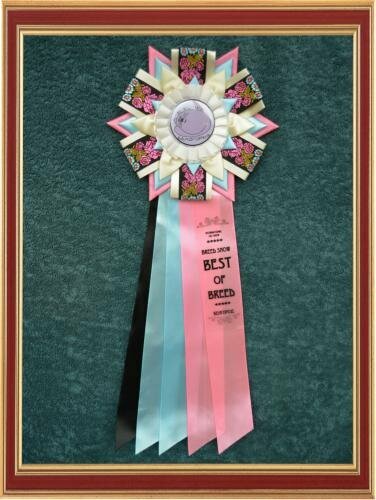 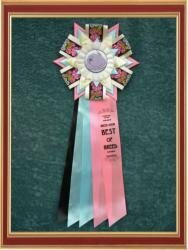 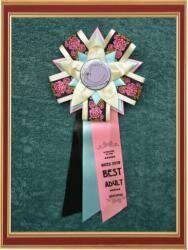 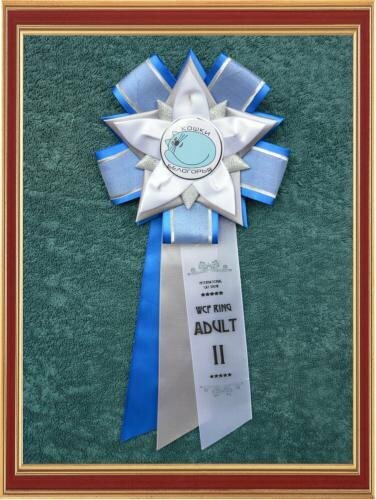 On the second day of our animals were also nominated for Best in Show.